REV. DR. DREW KYNDALL ROSS, “Pastor Drew,” is a native of Baltimore, Maryland. He is the only child of Terri D. Ross. He accepted Jesus Christ at age 10 at Shiloh Christian Community Church, where Reverend Jimmy C. Baldwin, Sr. is the Pastor. Under the leadership of Pastor Baldwin, Dr. Ross accepted his call to preach in December 2001 at age 14. He was licensed to preach in February 2004 at age 17 and ordained to the Gospel Ministry in June 2010 at age 24. Dr. Ross served as the Founding Senior Pastor of Resurrection Church in Pikesville, Maryland from 2011-2018. On December 9, 2018, by unanimous vote of the congregation, he was elected to serve as the 8th Senior Pastor of New Hope Baptist Church of Hackensack, New Jersey. Having a passion for education and preparation, Dr. Ross has a Bachelor of Arts Degree (B.A.) from Richmond Virginia Seminary. In addition, he earned a Master of Divinity Degree (M.Div.) from The Samuel DeWitt Proctor School of Theology at Virginia Union University, where he was awarded the Dr. John W. Kinney Dean’s Scholarship. On July 21, 2017, Dr. Ross successfully defended his doctoral dissertation earning his Doctor of Ministry Degree (D.Min.) in African American Church Growth from Ashland Theological Seminary at Ashland University. His dissertation is entitled, On Your Mark, Get Set, GROW: Discovering Barriers To Church Growth. While at Ashland, he was awarded an Academic Seminary Scholarship and the Church Match Scholarship Grant. Dr. Ross is seeking to distinguish himself as a writer, researcher and scholar; he is pursuing a Doctor of Theology Degree (Th.D.) at Evangelical Seminary in the focus area of Semiotics and Spirit (Pneumatic Theology) under the tutelage of Dr. Leonard Sweet. His Th.D. work primarily focuses on Black Theology and Semiotics with a secondary focus on Homiletics. 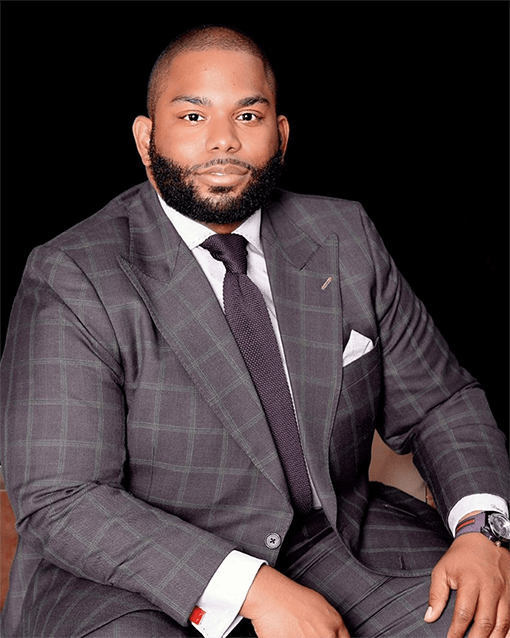 As one who believes in the importance of Business acumen, Dr. Ross is concurrently pursuing a Master of Business Administration Degree (MBA) at the University of Maryland University College. Dr. Ross serves as Adjunct Assistant Professor of Theology in the Master of Arts in Religious Studies Degree (M.A. ), Master of Religious Education Degree (M.R.E. ), and Doctor of Ministry (D.Min.) programs. His teaching experience at UTS includes classes with a focus on Systematic Theology, Black Theology, Moral Theology, and Practical Theology. Dr. Ross serves as an advisor to students for Independent Study Classes and Projects. Additionally, he serves as a Teaching Assistant in the Doctor of Ministry Degree (D.Min.) program in Prophetic Urban Ministry at New Brunswick Theological Seminary. In June 2016, he was privileged to preach as a new voice at the Hampton University Ministers’ Conference Late Night Preaching In The Round. Additionally, in April 2014, he served as the Ecumenical Service Preacher for the 82nd Annual Eastern Region Convention of Alpha Phi Alpha Fraternity, Incorporated. Aside from being a preacher, pastor and professor, Dr. Ross is the CEO of Kingdom Graphic Design, LLC., a full-service graphic design and marketing company that serves churches and businesses across the Country. He is a proud member of Alpha Phi Alpha Fraternity, Incorporated, having served as Associate Chaplain for the Eastern Region. Dr. Ross is the Author of Overcome: A 90-Day Jump Start to Developing a Healthy Lifestyle. This book is the capstone project of his 100-pound weight loss journey that led to a change in his diet, discipline and spiritual devotion.